There is a lot of debate as to what is the cause, or better yet, causes of autism. This post isn’t intended to cover all of the variables which fuel autism. It is intended to provide the reader with an understanding of chief mechanisms related to how consumption of Monsanto’s RoundUp, by way of consuming genetically modified corn, soy, canola oil, sugar beets, or any other “RoundUp ready” crop, as well as vaccines may fuel microglial activation, a leading factor in all neurodegenerative conditions, including autism (1)(2)(3), Alzheimer’s(4)(5), ALS(6)(7), Parkinson’s(8)(9), non-situational depression(10)(11), and virtually all forms of chronic illness. While this post is more directed towards the discussion of autism, the reality is that all of the factors that I discuss below are unquestionably major factors of consideration in all neurodegenerative conditions. 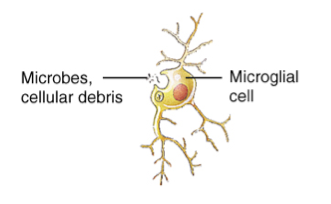 The significance of the shift of the microbial ecology to become dominant in pathogenic strains of bacteria, particularly as it relates to autism and other neurodegenerative conditions is that pathogenic bacteria promotes an increase of two chemicals which are known to fuel microglial activation, “lipopolysaccharide” (LPS), and Interleukin 1B (IL-1b). The LPS is a cell wall fragment of some of the pathogenic bacteria, and the IL-1b is one member of a class of immune system messenger molecules, referred to as “cytokines”, generated in response to bacterial infections. (26) Cytokines are recognized to be prime factors in relation to how poorly we feel when we get sick. 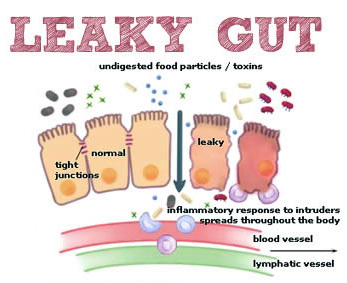 As the pathogenic bacteria grow in numbers, as they would with continued glyphosate consumption (not to mention sugar and/or refined carbohydrate consumption), they can degrade the lining of the intestines, a process called “leaky gut”, which then allows for the LPS to enter into the blood stream. (27) The immune system responds by producing IL-1b. 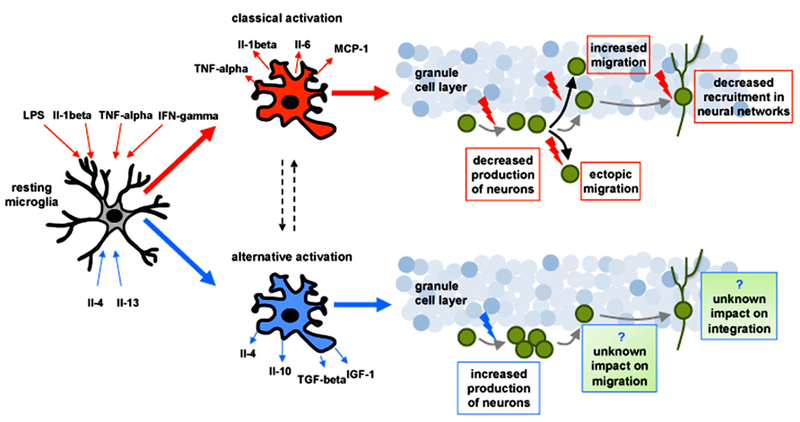 In fact, LPS or IL-1b have become standard agents in studying microglial activation, so this idea that the pathogenic bacteria may fuel microglial activation by way of LPS and/or IL-1b is well established. (28)(29)(30)(31)(32) Additionally, it’s been demonstrated that the LPS or cytokines produced in the periphery of the body, promote signals up to the brain by way of the vagus nerve, causing the brain to produce these destructive cytokines within the nervous system. Both LPS and IL-1b have also been demonstrated to degrade the blood brain barrier (BBB), which serves as an important protective fence from infections and/or other toxins which may have entered into the body. In a state of leaky gut, where the microbes from the intestines can migrate into the blood stream, invasions from these microbes, both “good” and bad may find their way into the nervous system and continually promote ongoing microglial activation once the BBB has been compromised. Does the autistic population show evidence of LPS or IL-1b? J Neuroinflammation. 2013; 10: 38. Setting the stage for autism and an adverse event to a vaccine, has a lot to do with diet, including moms diet. 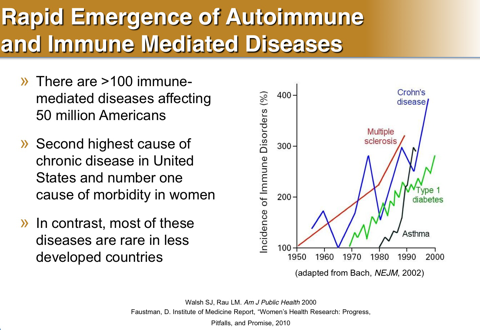 As I’ve pointed out, autoimmunity has a common denominator in leaky gut, and autoimmune disorders are increasing at an unprecedented rate right now. Given the fact that at least 1/5th of the US population is suffering from an autoimmune condition, and many mothers don’t know they have such a condition, the stage has been set for an adverse event to a vaccine. 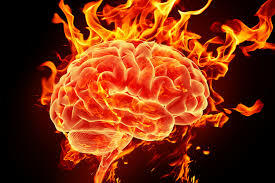 Vaccines, gas to the smoldering fire of LPS and IL-1b driven microglial activation. Is IFN-y elevated in the autistic population? Yes. (53)(54) It’s worth pointing out that all vaccines induce some pro-inflammatory cytokine response, and are potential triggers for microglial activation. As I have very clearly illustrated above, the factors which promote neurodegenerative conditions such as autism, can be traced back to those factors which promote microglial activation. Without question, autism like all forms of chronic illness are multifactoral in nature, but common threads tie many of these illnesses together, like microglial activation and leaky gut. If we can address and control these issues, and we certainly can in most cases, we can go a long way towards preventing and/or reversing the collective nightmares of neurodegenerative conditions. For the sake of brevity, I have chosen not to address the issues of vaccine adjuvant ingredients, how they promote nueroinflammatory autoimmunity(55)(56)(57)(58)(59), or other environmental factors, like tylenol use (60), or genetic factors such as MTHFR which can lead to low levels of glutathione and a ripened system for ongoing microglial activation for life in a toxic world. In order to solve our collective health challenges and the explosion of chronic degnerative diseases, it is imperative that we bring sanity back to our food production and disease prevention. Doing so means eliminating the scourge on humanity that Monsanto represents, and educating people about the necessity of detoxification strategies and nutrient repletion. 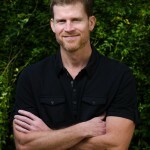 About the author: Dr. Buckley is a 2002 graduate of Logan College of Chiropractic. Dr. Buckley entered the health care field largely to understand and resolve his personal struggles with chronic fatigue and fibromyalgia which began late in his teens. His ongoing study of functional medicine, nutrition, nutrigenomics, applied kinesiology, and energetic medicine has provided him with keen insight and understanding into the holistic dynamics of the body and how we lose and maintain our health. 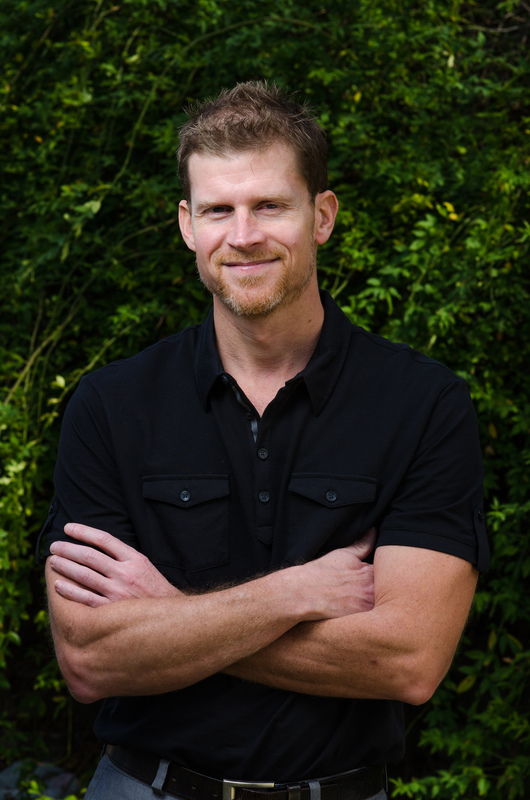 He has maintained a busy practice in Austin, Texas for the past 13 years and works with people of all ages interested in maximizing their health, and overcoming the modern scourge of all forms of chronic illness. Absolutely brilliant write-up! Thank you!!! Thank you so much for laying this out so clearly and compactly. I think you are absolutely right on! Synergistic toxicity between glyphosate in the food and toxic chemicals in the vaccines – combined with the enhanced stimulation of an already fragile microglial population in the brain caused by the vaccine. This page should go viral! The world needs to know this before it is too late! Check out my web page for some articles and slide presentations that convey a similar message. Dr. Seneff, it’s great to see your comment, and thank you! I have been following and admiring your work in this area since I saw your interview with Jeffrey Smith a couple years ago. I’ve definitely kept my eyes on what you have to say since that time. As you have so thoroughly established, we’ve got the research pretty squarely on our side now, it’s just a matter of getting it out there and breaking through the mainstream propaganda machine. Hopefully this post will sharpen the discussion about how exactly we are being poisoned by big agri and big pharma. It sounds like a lose-lose situation though? If you don’t vaccinate and are infected with the wild version of measles, mumps, rubella [insert other VPD], you’d still have the same inflammatory response to those live viruses and still end up with neurological disorders. There are live viruses everywhere. So what are you proposing as the alternative? It sounds like a lose-lose situation though. If someone is unvaccinated and contracts the wild version of measles, mumps, rubella etc, they end up with the same chain reaction described above. So what would you recommend as an alternative to vaccination? You’re making an assumption that vaccines actually prevent the diseases which they’re alleged to prevent. I blogged previously how a measles outbreak hit Quebec, which met the theoretical vaccination threshold necessary to prevent measles back in 2011. That outbreak was larger than the current outbreak, but you never hear about it in the mainstream media. Books have been written about this, and if you want to dig into how the mythology of vaccine success, do read Dr. Suzanne Humpries, MD’s book, Dissolving Illusions. What is needed to prevent disease is what is needed to optimize cellular function. Nutrient status, meaning the optimal levels of minerals zinc, magnesium, copper, etc, and toxic body burden should all be objectively measured to determine what somebody’s risk of disease, along with what can be done to prevent future impairment. This topic is something I will try and blog about in the future, because this is a question that requires more careful explanation than I can give right now.